The executive Chairman, Ika South Local Government, Hon Fred Ofume,has listed his achievements since assumption of office in October, 2014.Hon Ofume who to spoke to journalists early this week in his office at the Council Secretariat in Agbor,said his administration has been able to reclaim the cattle market in Agbor which was hitherto claimed by one, Mr Alex Ikpeazu,noting that the Council is making moves to ensure that there is a befitting market and slaughter slabs for the people of the local government. He listed other achievements of his administration to include:beautification of the Council Secretariat,particularly the chairman’s office which he hopes to furnish before the end of his tenure,grading of earth roads in the eighteen state wards in the local government,donation of seats and hospital equipment to Central Hospital and State School of Nursing,Agbor in partnership with Agbor-USA, constitution of a taskforce committee on Environment and zoning of the area for effective PSP operations,review of payment of government owned stores,particularly in Baleke and CTC Markets,reconnection of electricity at the Council Secretariat,attraction of investors to the local government for the building of ultra modern market and mall,repairs of failed portions in the metropolis,posting of NYSC medical doctors to different health centres in the local government, among others. In the words of the Ika South Council Boss,”we have been engaged in a legal tussle with one, Mr Alex Ikpeazu who is claiming ownership of the Cattle Market, popularly known as, Musa Market in Agbor.The law allows individual ownership of a market but, my concern is that how did Alex Ikpeazu acquire the land.As at today,we do not have any legal document from Ikpeazu on how he acquired the land.Recently,he petitioned us at the Police headquarters in Abuja, where we were interviewed by a Deputy Inspector General of Police, a refined officer who after our interview with him ordered his men to stay action until the case is concluded in court.Ikpeazu was not able to present any legal document before the DIG.Reclaiming the Cattle Market is one of the greatest achievements of my administration.My plan is to make the market a befitting one for our people. “My administration also embarked on the grading of earth roads in the eighteen state wards in Ika South,cleaned up the Secretariat and give the office of the Chairman a befitting look.We have also reviewed payments for Council owned stores, particularly in Baleke and CTC Markets.At the time i came on board, i discovered that payments for the Council’s locked up stores for example in Baleke Market is #2,500 per annum,whereas stores owned by individuals opposite the market go between #60,000 to #80,000 per annum.To me this is evil.Even the #2,500 paid per annum sometimes went into the pockets of individuals.We were able to do an upward review of #15,000 and above of each store per annum.We addressed the refuse problem at CTC Market.In order to utilize the market, we brought investors,with the plan to build,operate and transfer after twenty-five years.The plan also include, the building of an ultra modern mall at College of Education junction.Traders currently, doing business at the College of Education junction are not tenants of the Council, they are illegal occupants.We could recall how the Delta State government during the administration of Governor Emmanuel Uduaghan demolished all shanty stores in the area.We cannot build legality on illegality, hence, my administration is not collecting revenue from those traders who are not permitted by the government to operate there.Unfortunately, the legislators in Ika South Legislative Arm have driven away those projects(the building of ultra modern market and mall).The execution of the projects would have been a great achievement for Ika South.It will now take the grace of God for us to get those investors back.The legislators said they were not carried along.I don’t understand what they meant by that statement.They were at the stakeholders meeting on the projects, there was no cash transaction and the MOU which is 70% local content was drafted by the Legal Department of the Council not me.I don’t understand what prompted their action and it does not behoves on me as council chairman to invite councillors to my executive meetings”. Speaking further, Hon Ofume, said, “my administration restored electricity to the Council Secretariat after seven years of disconnection.At a time we paid for the services of some NYSC medical doctors and assigned them to healthcare centres in the local government.We have improved the Council revenue drive and sealed financial leakages.We also did zoning of the town for effective refuse disposal and evacuation.Before now we constituted a taskforce committee on environment under the chairmanship of one, Mr Friday Orubor.The mandate given to members of the committee was to rid Ika South of dirt and make it clean. The Council provided a Hilux van for the taskforce committee, including the donation of two motorcycles to the committee by the member representing Ika Federal Constituency in the House of Representatives,Hon Victor Nwokolo.My administration in partnership with Agbor- USA donated office chairs and equipment to the Central Hospital and State School of Nursing,Agbor.In addition, before the end of my tenure in office,i am going to plant ornamental trees,the trees will arrive next month.In all,i will continue to render quality service to the people of my local government with the best of my ability.I thank Ika South Council workers for their wonderful support. Speaking in a related development, Hon Ofume,called on the Federal Government to review the 20% sharing formula ratio of the national treasury to local governments,maintaining that until the sharing formula ratio is reviewed,local governments will not perform well even if they are granted autonomy.”If local governments get autonomy and the federal sharing formula ratio of 20% to them by the Federal Government remains the same,they will still not get out of the woods. Until the federal sharing formula ratio is addressed,local governments will not achieve desired results as third tier of government.”Ofume stated. 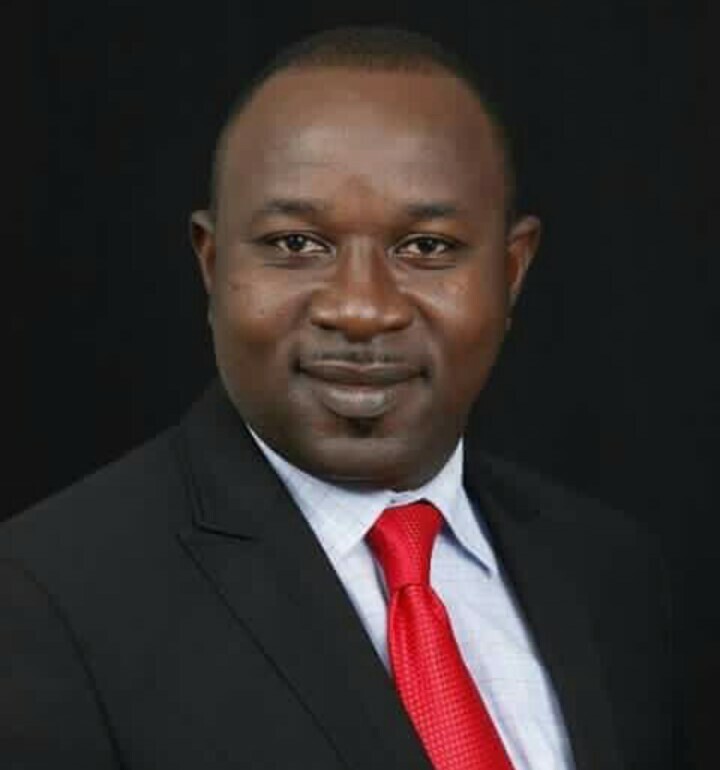 The post Ika South Council Boss,Ofume Lists Achievements, Urges Federal Government To Review Sharing Formula Ratio To LGAs appeared first on Front Line Reporter.